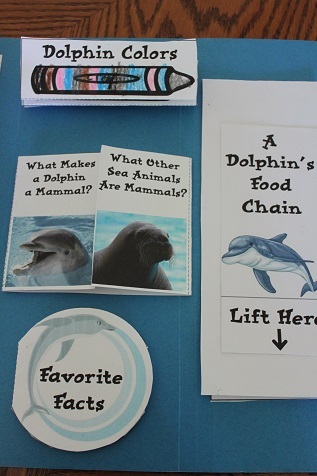 We spent the month of July learning all about the ocean and doing lots of ocean art projects. 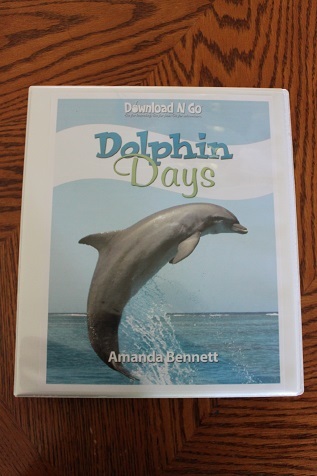 Throughout the month, Hailey also worked on a dolphin unit from Amanda Bennett Unit Studies. 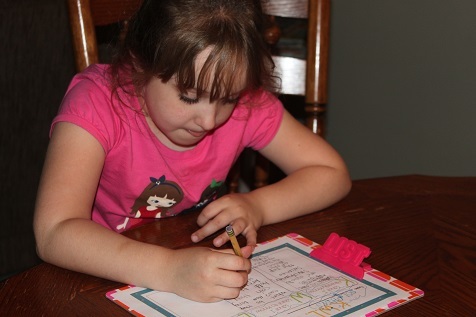 It was the first time we used one of her units and we both really enjoyed it. 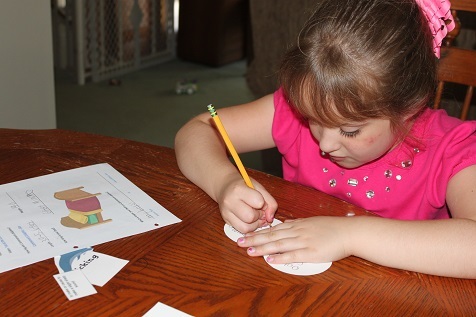 It’s amazing how much I learned right along with Hailey. 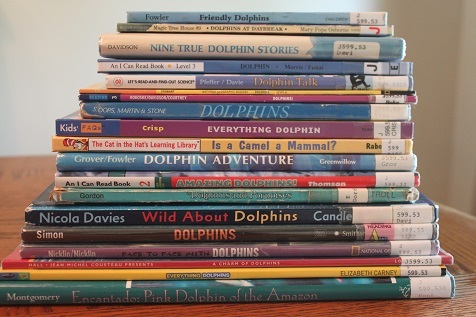 Using the recommendations in the unit study, we borrowed a bunch of dolphin books from the library. 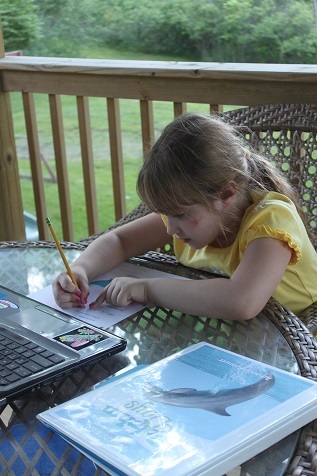 Hailey liked being able to work outside. We kept all of the papers that Hailey did in this binder. 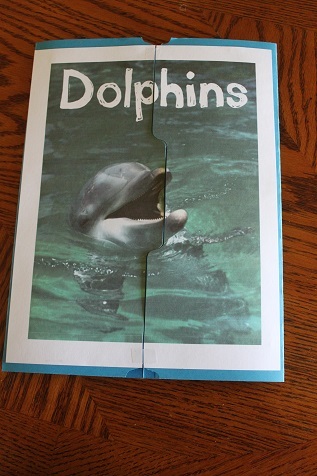 The cover for the lapbook we made. 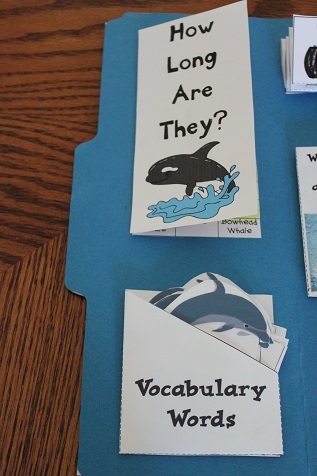 I got this cover from Homeschool Share. 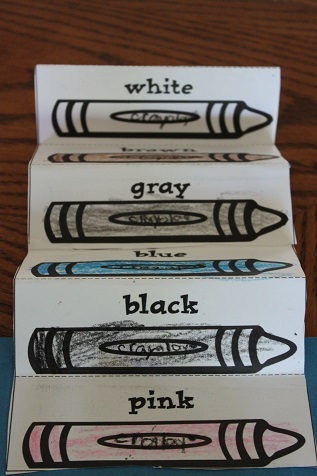 The inside of the lapbook. Everything in here is from the Amanda Bennett Unit Study except the “How Long Are They?” piece. 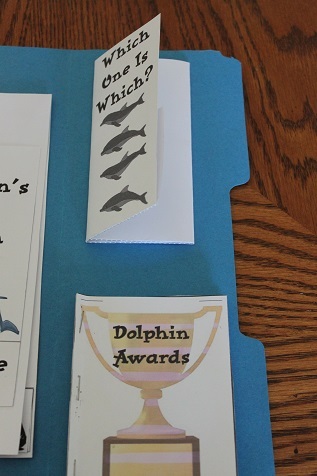 Close up of the left flap- “How Long Are They” is from Homeschool Share. 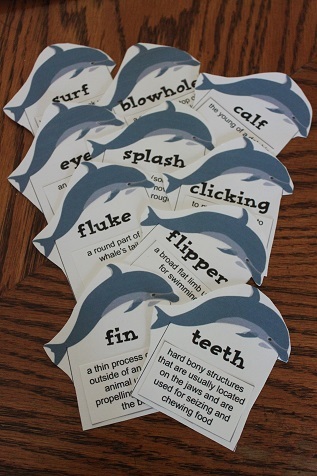 Here are some of the vocabulary words included. There were other more challenging words for older students. 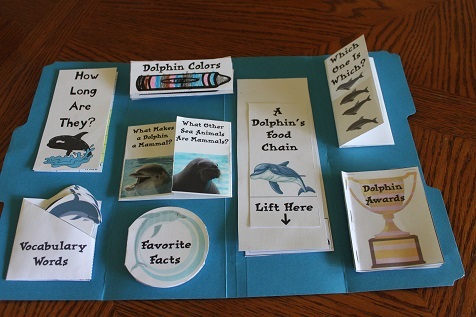 The accordion style book showing different colors that dolphins can be. 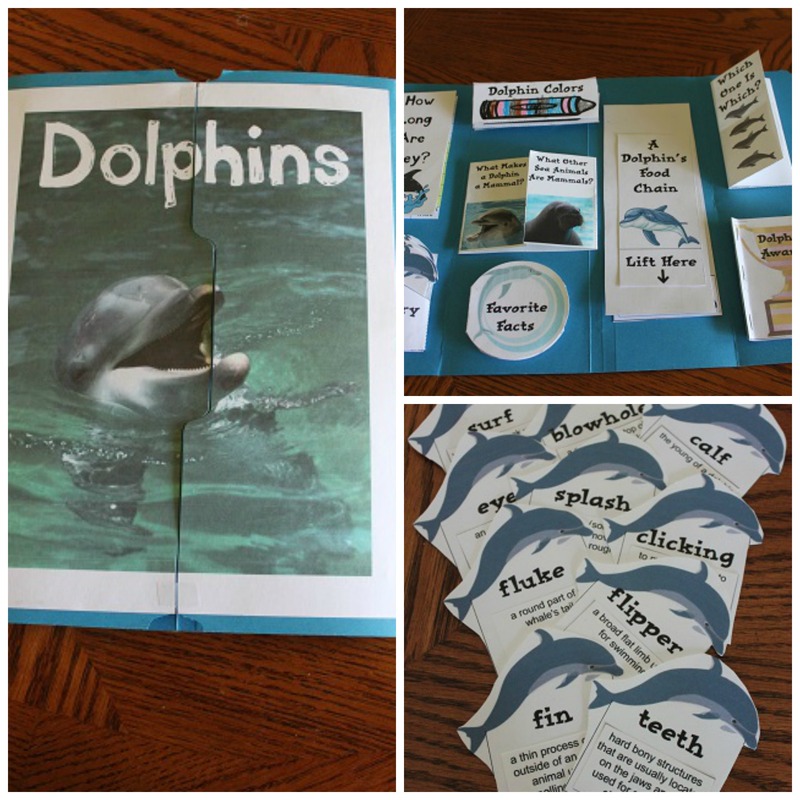 We had a lot of fun doing this unit and making this lapbook! We all learned so much! !